How come nobody ever came up with this before? Considering its unique design and brainy challenge (literally and artistically), it would take quite a smarty-pants person to figure it out. Or just someone who can memorize patterns fast. 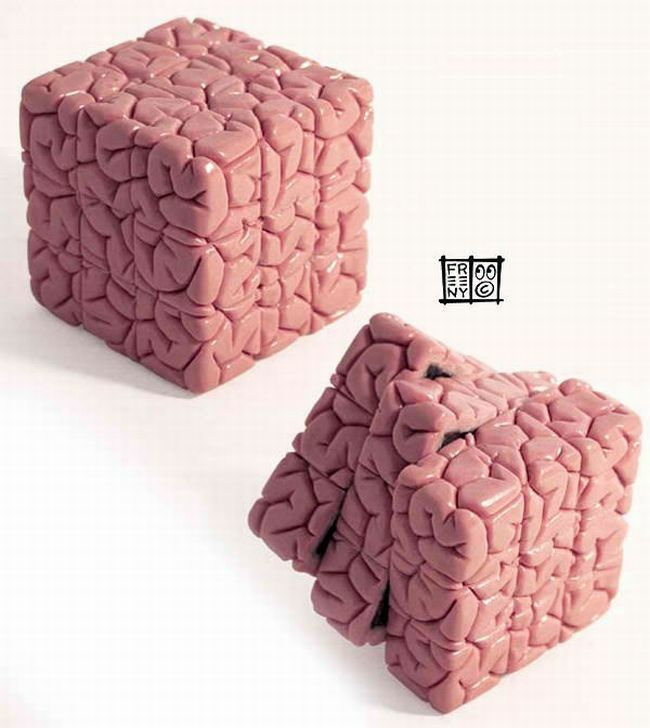 The Brain Cube is the creation of artist Jason Freeny and his marvelous little creation is a real mind-bender. First, each single part of the Brain Cube has a special pattern but since there’s only one color, how can you tell if you’re anywhere close to returning it to its original configuration? This isn’t the first time Justin Freeny took a keen interest in brains and such. The man has quite a fixation on what’s underneath our skin and even messed around with a Super Mario statue a while back that exhibited a the iconic plumber’s anatomy Damien Hirst-style. Good luck solving this one, mate!